MDR Creative is a highly innovative, professional and experienced team of Manchester printers. We provide a high-quality printing service that is custom made to suit your needs. Upon choosing us, we will work with you, so that you get the required look and finish for your project. As dedicated printers, we always deliver work on time, and in a professional manner. So, if you’re looking for printers in Manchester, your search is over. Come to MDR Creative and find out more about our printing services in Manchester. We’ll take care of everything from there. No matter your needs for printing in Manchester, it’s good to know that MDR Creative will be there to help. 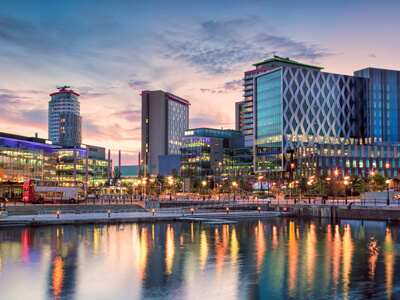 We have been providing printing services in Manchester and the surrounding areas for many years now, so we’re confident to say that we have something for you. Our printing experts supply high quality printing of any quantity and specification, giving you full control of your printing. Let MDR Creative take care of your printing needs and make our team your first choice for printers in Manchester. 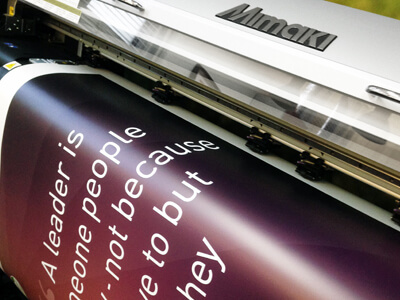 We provide the very latest in print technology using our Mimaki printers. This technology enables us to produce incredible photorealistic images that are crisp, durable and showcase vibrant colours. All our professional team are highly skilled and trained, and are 100 percent committed to accommodating to your particular requirements. We strive for perfection and the upmost quality on every print job we supply. As a team of friendly and professional printers in Manchester, we will work closely with you, the customer, on every job. We really do provide a high-quality, bespoke print service! When you use our services, you are not hiring just one individual, but a team of professionals who can give you that much needed personal touch. We guarantee that using our bespoke printing service will be incredibly cost effective for your company. We are a well established team of printers in Manchester and our reputation speaks for itself. As 85 percent of all our work comes from recommendations, we have a steady stream of regular customers who use our print services. If you would like to learn more about us or the reasons why you should choose us as your Manchester Printers, be sure to get in touch with MDR Creative. We’re always more than happy to discuss your options and talk through our printing services. Get great quality prints for your business at an affordable price and contact MDR Creative for your free quote! As business owners ourselves, we appreciate how competitive industries are. Little extras can always help your business to thrive and a small, personal touch will be the difference to setting your company apart. In our opinion, we believe that quality matters. From photographs to signs, the quality of the finish is just as important as what’s on the print. So, keep your standards high and come to MDR Creative for the best printing in Manchester. We’re here to assist with all your printing needs. If you’re a business owner and in search of printing in Manchester, be sure to make MDR Creative your first port of call. Our team will be on hand to discuss your printing options, giving you full confidence in all our services. No matter how small or large the project, we’re always happy to help. Simply contact MDR Creativetoday to talk through your options, or to receive your free quote. Our printers in Manchester are here to bring your ideas to life, whilst also setting you aside from your competitors.